Agroecology emerged as an approach to apply ecological concepts and principles ( many derived from the study of traditional farmers) for the design of sustainable agricultural systems as an alternative to energy and input intensive conventional agriculture and to the fact that the Green Revolution did not benefit resource-poor farmers. Earl on in Latin America NGOs felt the urgent need to combat rural poverty and to conserve and regenerate the deteriorated resource base of small farms, and saw in agroecology a new approach to agricultural research and resource management strategies that lent itself to a more participatory approach for appropriate technology development and dissemination. Today agroecology has been taken by rural social movements and is seen as a transformative science and movement explicitly committed to a more just and sustainable future by reshaping power relations from farm to table. How do we measure the transition from an unsustainable agrifood system to a sustainable one? Various scholars, institutions, and citizen groups have created a diverse set of tools for evaluating agrifood systems to aid in gauging the progress of sustainability transitions. These evaluative tools are often limited to national-level scales, are difficult to translate to smaller, more strategically potent scales (regional, municipal), and tend to be either too simple or overly detailed which limits their overall usability. After a quick review of some existing agrifood and food system sustainability assessment methodologies, we argue that an expanded notion of food security, implying long-term sustainability and socio-ecological health of agrifood systems rather than simple access to calories, provides a holistic framework able to work at different scales. After testing the framework at the prefectural scale in Japan, we open the sustainability assessment discussion further by reflecting on the applicability of scaling down planetary boundaries to more workable dimensions. Industrialized food systems leave cities vulnerable to food supply disruptions, disruptions likely to increase due to climate change. Urban residents also lack opportunities to self-produce food. Urban agriculture, community and home gardens, edible infrastructure, public fruit trees and informal gardening have been proposed as strategies and practices to tackle these challenges. Yet alone this measures are limited by the constraints of the urban landscape organization, often fail to take into account cultural aspects of production and social organization, and usually only benefit residents involved in such activities. To address these issues, biocultural cityscapes created through holistic urban landscape stewardship are outlined as a conceptual framework. This framework is developed drawing upon biocultural diversity theory, the Japanese traditional ecological stewardship concepts of satoyama and satoumi, as well as wider international discourses around degrowth and food as a commons. Our current food system is not meeting the needs of our urban poor. California is sometimes referred to as the breadbasket of the world, with a $42.6 billion agricultural industry, yet statewide, nearly 6 million adults (16.7%) experience food insecurity. Urban centers, many of which are classified as “food deserts”, have some of the highest concentrations of poverty, food insecurity, malnutrition and diet related diseases. They also are home to high numbers of immigrants, comprising 40% of the urban population. Many of these immigrants arrive with rich agro-ecological knowledge & healthy cultural food traditions, yet often transition toward a western diet for many reasons, resulting in higher rates of diet-related diseases. Those with access to land often grow cultural foods and medicines, and exchange them with others in their community, but many continue to seek additional sources of their cultural food heritage. With funding from the Berkeley Food Institute, this project sought to 1) increase the visibility and opportunity for scaling up the production and exchange of culturally important food plants to foster the continuity of healthful food traditions and help combat food insecurity in urban food deserts and 2) test the hypothesis that urban areas with high cultural diversity may also have high concentrations of agro-biodiversity in their gardens. Through in depth ethnobotanical research, ethnographic and botanical information data was gathered about East Bay urban agro-biodiversity and cultivated cultural food plants through interviews with 46 gardeners from 18 different ethnic backgrounds in 12 East Bay gardens. Results suggest that East Bay urban gardens are important repositories of agrobiodiversity, and contain rich cultural knowledge and sharing of culturally important food plants for both food security and mental/physical/social/cultural health outcomes. However, tenuous land rights, development pressures and shifting priorities threaten the viability of urban agroecosystems. Like other vulnerable ecosystems, urban gardens need to be considered as part of larger regional agroecosystems with measures that can be taken to conserve & protect them. Bhutan has been portrayed as a “lighthouse” in the world of organic agriculture since its announcement to go 100% organic at the Rio+20 conference in 2012. Taking advantage of the fame gained in adopting a post-growth Gross National Happiness development strategy and an agriculture characterized by low input small scale farming, the Bhutanese Ministry of Agriculture and Forests initiated a policy to promote organic agriculture in 2006. At the same time, the ever-increasing pressures to modernize agricultural production and grow the national economy has influenced the social discourse on “organic agriculture” in the country and threatened to reduce it to a mere marketing strategy to sell “Brand Bhutan.” This paper will trace Bhutan’s shifting relationship to development and food security through looking at the top-down policy level discourse, and the ways in which farmers have been variously modifying, adapting, adjusting, and resisting such pressures. Research is based on fieldwork conducted in Bhutan in 2014 and interviews and literature review conducted in and around Bhutan since then. Organic agriculture is currently practiced on farms that vary greatly in both the number of crops grown on a farm, and the number of practices used that diversify above-ground vegetation or below-ground resources that feed the soil-food web. This talk will explore how such changes in farm-scale diversification affect organic production and sustainability. Through meta-analysis, we have found that use of diversification practices boosts production on organic farms, and enhances sustainability by promoting a wide variety of ecosystem services. In on-farm studies in California, we are documenting how on-farm diversification and surrounding landscape complexity affect biodiversity, ecosystem services and production. With nearly $2 billion market values, strawberry production in California is a high input, intensive farming systems. It produces 85% of the US production, which represents more than 20% of the world production. Since 50’s, this high yielding system has evolved around the pre-plant soil fumigation. However, due to its health and environmental concerns, there is an urgent need to develop non-fumigant-based strawberry production systems. Emerged in 80’s, organic strawberry production in California has been gradually increasing. In 2017, it exceeded 10% of the total strawberry production area in the state. Soilborne disease management in organic strawberry production mainly relies on crop rotation. However, a multi-host pathogen such as Verticillium dahliae is difficult to avoid even with a long-term crop rotation. Anaerobic soil disinfestation (ASD) was developed in the Netherlands and Japan independently as a biological alternative to soil fumigation. Based on the acid fermentation in the anaerobic soil, it can control a range of soilborne pathogens. Since 2003, we have been optimizing ASD to California strawberries. Ten on-farm replicated field trials conducted between 2010 and 2015 across California coasts demonstrated that ASD provided 99% of average relative marketable fruit yield compared to fumigated control. As a result, California berry growers, mainly organic, have been rapidly adopting the technique at commercial scale; ASD treated-acreages in California increased from 5 acres in 2012 to 1,500 acres in 2017. This presentation discusses the agroecological significance of ASD in California strawberry production and the roles of agroecological approaches in non-fumigant-based strawberry production systems to be developed in California and beyond. 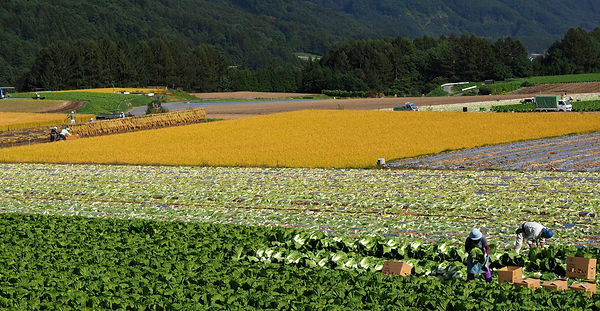 Agriculture in Japan today is characterized by a decline in an agricultural output, increasing abandoned farmland, a shrinking and aging population of farmers, and a lack of farm successors. Japan is one of the biggest net importers of agriproducts and its food self-sufficiency ratio on a calorie basis is only 39%. Taken in combination, Japan’s overall food security is weak, the declining agricultural sector results in decaying rural areas, and subsequently jeopardizes the country’s long-term sustainability and resilience. The Government of Japan has been overhauling agricultural policies since 2011 within the framework of “Transformation of agriculture, forestry, and fisheries into growth industries.” From the government’s perspective, if Japan’s agriculture becomes highly-industrialized through large-scale intensification, improved output efficiency, a high level of productivity, production of high added-value products and the deployment of more innovative technology into agriculture, it can compete in the mainstream global marketplace, and then achieve the objectives of greater self-sufficiency and rural development. However, such a policy strategy has two problems: Firstly, is it applicable to different municipalities characterized by diversified and unqiue geographical conditions? Secondly, will it really lead to a sustainable future in rural areas if concepts such as agroecology and food sovereignty are not taken into account? This study was conducted to investigate agricultural policy at the municipal level with two specific objectives: (1) to find out whether there are gaps in agricultural policy between the national and municipal level, and (2) to evaluate whether municipal level policies promote agroecology and food sovereignty. This study is still under way, and the results obtained thus far will be presented. A text analysis of policy documents shows that the municipal governments do not proactively advocate exporting food products, competing in global food markets, or the entry of corporations into the agricultural sector as opposed to the national government. On the other hand, “urban-rural exchange” and “migration and settlement” are found quite common in policy at the municipal level. 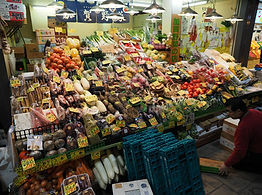 It could be argued that unlike the national level, the municipal-level policy aims at the “re-commoning of food,” which generates new linkages between rural areas and urban citizens through engagement in agriculture, and the “de-commodification of food” by entirely new distribution channels such as chisan chisho (local production for local consumption). The results also indicate that the municipal governments are more concerned about agroecology and food sovereignty as a guiding idea for policy compared to the national government. To understand how these ideas are positioned in municipal-level policy, and to collect data on various cases of how these new policy ideas promote transition of the municipal governments, further research on a larger scale is planned. This research ultimately attempts to develop policy recommendations to promote transition of agricultural policy at the municipal level. Food Policy Councils bring together diverse stakeholders with different perspectives to assess assets and needs in local and regional food systems and to offer recommendations for policy change. Food Policy Councils address the food system holistically by examining issues such as food access, nutrition, sustainable agriculture, land use, water, local economics, and environmental justice in relation to each other. It is becoming increasingly apparent that Food Policy Councils function as civic organizations that bring diverse participants together to craft regionally specific policies. Some studies exist on the structure and overall effectiveness of Food Policy Councils, however, it is less clear how these bodies engage with and leverage existing information, including resources at research institutions, to inform their work. In this talk, we explore how Food Policy Councils leverage existing relationships and forge new information streams to reflect the diversity of food systems issues in California. We share interim findings from a multi-year research project comparing ten local Food Policy Councils in California, being conducted in collaboration with the California Food Policy Council and UC Cooperative Extension. During his tenure, Obama administration Agriculture Secretary Tom Vilsack repeatedly emphasized the need for “100,000 new farmers” to replace an aging agricultural workforce. This echoed Congress’ decision in the 2002 Farm Bill to authorize the Beginning Farmer and Rancher Development Program (BFRDP). Now that the program has had a few years of funding and implementation, researchers are examining its impacts and offering suggestions to improve the program. Adam Calo, a doctoral student at Berkeley, will discuss his ongoing research on land access, new farmers, and BFRDP. Nina F. Ichikawa, the policy director at the Berkeley Food Institute, will discuss the landscape of policies for beginning and social disadvantaged farmers and compare the American example to other countries, including Japan and France, that are also attempting to tackle the aging agricultural workforce. Many studies reveal that small-scale farmers who follow agro-ecological practices cope with, and even prepare for, climate change, minimising crop failure. Results from various studies suggest that these practices provide a higher resistance to climate events, reduce vulnerability and make farms more sustainable in the long-term. Based on this evidence, various experts have suggested that reviving traditional management systems, combined with the use of agro-ecologically principles, may represent the only viable and robust path to increasing the productivity, sustainability and resilience of agricultural production. Herein we explore a number of ways in which these strategies can be implemented through the design and management of agro-ecosystems, allowing farmers to adopt a strategy that, in the end, provides more economic benefits. The idea of the Anthropocene has swept through the natural and social sciences and even the humanities as have few concepts in recent memory. While it can be understood to boost the technocentric ideal of human control of the biosphere, the concept is also deeply unsettling to modern science, as it presents the possibility of a nature veering entirely out of control. In opening up such different views of nature and human-nature relationships, the Anthropocene presents an unusual epistemological opportunity. Interestingly, to date the word has remarkably little resonance in Asia. Why might this be the case? This paper explores agricultural heritage zones (of Asia, and other regions) as examples of some of humankind’s most sustainable cultural-ecological experience. In epistemological terms, this knowledge, accrued over millennia, is still little understood. Closer attention to its diverse forms and workings can expand our understanding of contemporary agri-environmental challenges and our Anthropocene imaginaries. Ranchers and the federal government have struggled over the management of public rangelands in the US for more than a century. Agencies such as the Forest Service have typically buttressed their policies with scientific theories and data, invoking the superiority of official knowledge derived from controlled experiments and research. Multi-generational ranching families, meanwhile, have developed knowledge from practical experience in specific places. I describe how ranchers have learned their management practices and how, in recent decades, rangeland ecologists have abandoned earlier assumptions about how rangelands work and embraced a framework that closely resembles a more practice-based approach. The federal agencies, however, may not be capable of such accommodation. The talk summarizes an on-going collaborative research program that is examining the temporal dimension and geographic scale of indigenous landscape management practices in Central California. Native Californians constructed productive anthropogenic landscapes using fire to enhance the quantity and diversity of plant and animal communities on which they depended for food, medicine, and raw materials for crafts. A collaborative team of scholars from the Amah Mutsun Tribal Band, California State Parks, and the University of California campuses at Berkeley and Santa Cruz are implementing an inter-disciplinary approach for the study of prescribed burning employing ecological, archaeological, and anthropological data sets. With funding from the National Science Foundation, the Gordon and Betty Moore Foundation, the Research Institute for Humanity and Nature, the Class of 1960 Chair in Undergraduate Education, and California State Parks, the team is investigating sites dating from 7000 BP to the present. The ultimate goal of the project is to examine how the physical evidence from the archaeological record can provide useful information for the contemporary management of public lands, such as in enhancing the richness and diversity of native species, improving the health of biological communities, and minimizing the risks of catastrophic fires. In a sleepy Hokkaido fishing town in the 1970s, quests to build an oil-fired power plant nearly ripped the community apart. While the national government hoped to leverage southern Hokkaido as an industrial hub for its postwar manufacturing boom by building the power plant, civil society was not convinced. The local fisheries union, headed primarily by Ainu fishermen, spearheaded an intense resistance movement for nearly a decade. Having studied the impact of heavy oil combustion on the local ecosystem, Ainu fishermen engaged in civil disobedience, blocking construction sites with bodies and fishing boats. In a landmark lawsuit now known as the “Environmental Rights” case, citizen groups sued to block the plant’s construction. Although the plant was ultimately built in 1978, this episode speaks to contemporary anti-nuclear resistance. Since the Fukushima nuclear accident forced a shutdown of Japan’s nuclear reactors in 2011, the plant now supplies 12-13% of Hokkaido’s electricity (up from 4%). Power from Date fuels the engines of Japan Steel Works in Muroran, global suppliers of critical nuclear components and the heart of Japan’s nuclear export market. Since the early 2000s, the Chinese government has launched a series of “anti-desertification” campaigns in the arid northwest. Based on my field research in the pastoral area of western Inner Mongolia and agricultural area in central Gansu province between 2011 and 2017, I will talk about herders and farmers’ aspirations and strategies of living with anti -desertification programs of ecological relocation, grazing and farming bans, and state subsidies in the context of China’s rapidly diversifying rural economies. The triple disasters of March 11, 2011, as well as the political processes they triggered, transformed the Northeast region of Japan into discrete spaces marked for evacuation and securitization. Though most of the 20-kilometers nuclear exclusion zone is still off-limits to humans, images of the area slowly being over taken by nature have led to numerous accounts detailing the transformation of the area into a wildlife haven. Indeed, exclusion zones like Fukushima have become an object of intense interest for scientists and politicians where the rebound of wildlife is taken to be a unique evidence of nature’s resilience in the face of nuclear disasters. By taking up a range of documentary works on re-wilding, this paper will explore how nature and nuclear disasters are reimagined through human and non-human interactions. It seeks to understand re-wilding as attempts to remake “life” by securing the future of individual animals, the species it represents and the wider human ecology it helps to sustain. It will also explore how these works redirect our attention to the participation of nonhumans in the making of nature, one that generates a certain dissonance in which the best interest of different forms of “life” may not always align. This paper examines Shinobu Yaguchi’s 2014 comedy film WOOD JOB! (Kamusari naa naa nichijo) and its place within a cultural movement that positions the return to domestic forestry in Japan as a means to mitigate the ecological anxiety over climate change in the advent of the Anthropocene, as well as economic anxiety of Japan’s precarious youth. In 2005, the Japanese Forestry Agency began the Kizukai Movement to promote domestic forestry as a means to combat climate change, and to offer consumers a way to mitigate ecological anxiety through purchasing products made of domestic wood. In addition, the Forestry Agency began the “Green Employment Program” to revitalize rural communities and offer economically precarious youth employment opportunities in forestry. I examine WOOD JOB!’s place in this cultural movement, and argue it links the sense of wood-futurity tied to the Kizukai Movement to reproductive futurity as a response to Japan’s declining birthrate. The humorous nature of the film and the light-hearted affect bound up in the Kizukai Movement’s advertising attempt to reassure a concerned public that a future is being crafted within Japan’s forests. The sustained economic development in Asia over the last half century has witnessed the transformation of the region’s resource base from local resources and ecosystem services of monsoon Asia to largely imported fossil fuels and other mineral resources. While this enabled the massive increase in industrial production and energy use and the rise in living standards of a very large population, it also put an unprecedented pressure on water, land, biomass and other vital local resources. Rapid urbanization meant that we must address the issue of how to ensure the supplies of water, food and energy without causing ‘trade offs’ (the issue of ‘nexus’), while non-urban parts of the world, from periurban areas to inhabitable parts of the earth, are also increasingly subject to the more powerful human intervention through climate change, deforestation and tourism, thus urging a vision for the more systematic resource management. This presentation outlines the impact of modern economic development on the relationship between economy and environment in monsoon Asia. It highlights the crucial importance of local and intra-regional trade in mitigating local resource constraints, while reducing the use of fossil resources. It also points out the limits of such an approach, and suggests a more inclusive understanding of ‘non-tradable’ resources such as water, land and biomass energy, for the transformation to sustainability. Food labels such as organic, country-origin, and GMO are commonly accessible in developed countries. However, little research has been conducted to examine how many consumers use these labels as indicators to choose better products and whether their decisions are based on correct understanding. I will talk about how knowledge heterogeneity among consumers affects their willingness to pay for organic labels using two sample surveys in Japan and California. This will help us identify the exact context where food labeling can be effective and will provide new insights in terms of sustainable food policy and environmental education. Since the 1990 democratization, Nepal, a small Himalayan Republic, has undergone a series of political, economic and environmental challenges. The violent ten-year civil war (1996-2006) seriously disrupted national unity, while the 2015 great earthquake destroyed the livelihood of hundred thousands of agrarian families in rural central hills. Against these dramatic changes, international migration has become an important measure to alleviate the economic risks faced by many families and households. In the early 2010s, seven percent of the 26 million Nepalese population resided outside the homeland. The majority leaves for India and the Middle East. Those with a relatively high resource aspire for the wealthy East Asia, including Hong Kong, South Korea and Japan. Without clear policies on unskilled foreign labor, Japan still remains to be a country difficult for migrants to enter. Nevertheless, in recent years Japan attracted increasing numbers of Nepalese who numbered 55,000 in 2015, marking a ten-fold rise for ten years. They apply for a wide range of visa categories to be admitted in Japan from those for international students to cooks in Indian restaurants. Yet the absence of immigrant incorporation programs makes it difficult for the Nepalese residents to achieve their economic and social goals in Japan. In this presentation, I will discuss the multiple paths and strategies the Nepalese migrants employ to reach Japan and increase their socioeconomic opportunities in Japan. Japan is at the forefront of a tectonic demographic shift common among advanced industrial countries, as its population growth has declined and now reversed. This fundamental demographic change is slowly but powerfully redirecting government labor policy and corporate human resource strategies. The government and industry are now concerned less about how to shed excess workers, and more about how to increase the workforce and to recruit and retain workers. The Abe administration’s working style reforms (hatarakikata kaikaku) and corporate efforts to implement those reforms reflect these new dynamics. Even though the current benefit of a person is reduced, if this will enrich future generations, this decision and behavior will make the person happier. If so, I say the person has futurability. Future Design is for designing social systems that create futurability and practicing them. I will overview some directions of Future Design research. When the 1970s Oil Shocks threatened Japan’s economic muscle, METI and its manufacturers so effectively pruned back their thirst for petroleum that they still lead the world in energy-efficient production. Today’s ongoing electricity crisis, though, shows no such successes six years after 3.11’s multiple meltdowns. The best solutions lie not with METI, but with MLIT. And Japan, blinded by its astonishing successes in the 1970s, has been unable to implement them. California offers ample evidence of how much more can be done. Water, energy, and food are the most fundamental and essential resources for human being, sustainable society, and global sustainability. Those are complexly and inextricably linked, and there are synergies and tradeoffs among three resources. It becomes more attentions when it comes to Water-Energy-Food Nexus with climate change and limited land. For example, the grape production for winery may gain more profit with a small amount of water, while water-intensive rice production as food can serve large number of people. There may be a trade-off between economic incentives and livelihood needs here if there is a constraint to the use of water. Other example of the reduction of rice cultivation up-river, following the government agricultural policy, caused reduction of water table downstream where urban population have traditionally enjoyed the availability of both water and food. In this case, the synergy of nexus that had existed in the traditional system was destroyed by the government policy that overlooked the effect on the availability of water resources downstream. Lack of the integrated research as a nexus and policy implementation is the most concerned. Water-energy-food nexus and security in Asia-Pacific region has been analyzed based on the national scale in terms of self-sufficiency and diversity of resources use. The relationship between water-energy-food nexus and urbanization has been also analyzed. The nexus model for integrated policy decision of the nexus has been made, and several scenarios based on national trade policy including food self-sufficiency has been applied to the nexus model in Japan to evaluate how much water, energy, carbon emission will be changed. Among the various water-energy-food nexus including fracking water for shale gas extraction, hot spring power generation and micro-hydropower, the different type of nexus exists such as tradeoff, interaction, and synergy, depending on the change in quantity and quality of resources, with difference of environment impacts. Top-down indices should meet bottom-up local context to make sense and be applicable for sustainability.